Roller banners are one of the most versatile and cost-effective trade show display solutions. They offer a large format graphic space, effortless assembly and unlimited portability – all of which make them a popular choice amongst seasoned exhibitors and expo novices alike. Given their popularity, the market has become saturated with different pull up banner stands to the point where knowing which one to invest in can be overwhelming. If you’re in the market for a roller banner but don’t know which one to pick, carry on reading to find out things you need to consider before spending your hard earned money. First thing’s first – you need to set a budget. Generally speaking, roller banners aren’t expensive, but the price can vary considerably between each option. With prices starting from as little as £49, our roller banner stand range has something to suit every budget. One of the biggest factors that you should consider before purchasing a roller banner is how often you will be using it. If you only exhibit a couple of times a year or will be using your banner aa a permanent feature in a foyer or reception area, the Grasshopper Display Banner is more than adequate and costs just £49. However, if you exhibit a lot then you may want to invest in something a little more robust such as the Barracuda Pull Up Banner. The Barracuda features hardware that is a bit more durable and robust than cheaper alternatives, meaning it will withstand prolonged use longer than the Grasshopper roller banners. A standard roller banner is two metres high, but some will go up to three metres high. Regarding width, the most popular sizes are 800mm or 1000mm wide, but some models will go up to two metres wide. Consider what you want to use it for and if large format graphics would work best. Also, think about your marketing message and how much space you require to convey your brand. If you exhibit a lot and change marketing campaigns regularly, it may be worth thinking about a banner with a replaceable cassette. Replaceable cassette roller banners such as the Merlin Roller Banner or the Imagine Roller Banner allow you switch out your old graphics for new ones whilst still using the same hardware. This is a much cheaper alternative to purchasing an entirely new banner stand each time your graphics change. These unique banners have a graphic cartridge housed independently from the main base unit. This means you can replace the graphics yourself without having to return the whole banner to have new graphics fitted; simply purchase a new cassette and replace it with the old one. Most pull up banners have graphics which pull out from the top of the base; however, on the Orient Banner, the graphics come from the front of the base - giving a seamless look as most of the base is covered. Will you be using your banner indoors or outdoors? Indoor banners are not designed for external use, so if you’re exhibiting outside, make sure you invest in an Outdoor Roller Banner. Outdoor display banners feature sturdier bases, weather resistant graphics and fade resistant properties. High traffic areas – either indoors or outdoors – may mean that you want your banner stand to be seen from all angles. In this event, a Double Sided Banner Stand is the best solution. 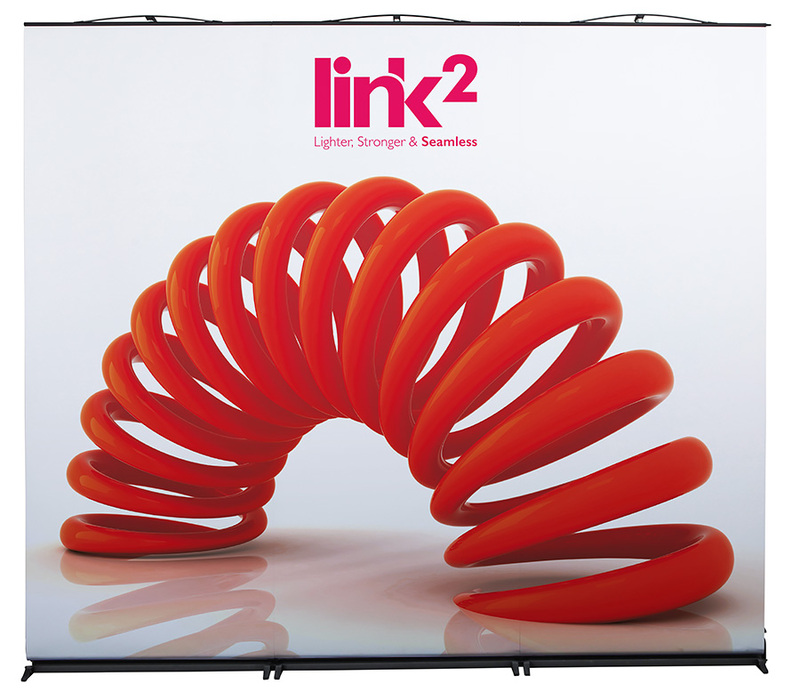 The Twist Banner range and Link2 Roller Banners give you the flexibility to link multiple banners together to create a much larger display. The versatility of these roller banners means that you can reconfigure your display to suit any floor space, which is a much cheaper way of creating reusable, large format stands without buying new kits each time. No Artwork? No Problem! – We offer an in-house graphic design service where one of our designers will work closely with you to create artwork that meets all of your requirements. Quality Assurance – We print our roller banners in house, allowing us to have full control over the quality. We only send out products that have been test-built and quality assured. Price – We regularly review our pricing to ensure it is as competitive as possible, without compromising on the quality. Free Artwork Check – If you have your own artwork one of our designers will check this to ensure it is the best quality print. We will only print a graphic when we are sure it will provide a high quality finish. If you are still unsure on which roller banner to choose, contact us or call us on 01733 511030.